Suchitra J. Satpathi has been involved in policy work, legislative and governmental affairs, lobbying initiatives, and campaigns in Louisiana for many years. Suchitra recently served as the Senior Advisor for State and International Affairs for the City of New Orleans and has previously served as Mayor Landrieu's Executive Counsel and the Director of State, Federal Relations and Boards and Commissions for the City of New Orleans. She worked with the Landrieu Administration since 2010. Her prior experience includes guiding the City of New Orleans legislative agenda, representing the City of New Orleans at the Louisiana State Legislature- often testifying at legislative committee meetings. Suchitra has garnered successes in advocating for the City's legislative and capital outlay agendas. She was also charged with handling the international affairs for the City of New Orleans which includes handling meetings and events with foreign dignitaries, delegations, trade and civic groups from all over the world. She has also served as the Mayor's designee on the New Orleans Sewerage & Water Board, and as the Chair of the Edward Wisner Advisory Committee. Suchitra has been constantly involved in Louisiana politics and governmental affairs focusing on both state-wide and municipal agendas related to tax policy, finance, education, governmental ethics, and healthcare. Suchitra has also served as Executive Director for the Louisiana Legislative Black Caucus. As Executive Director, she managed a team that increased fundraising efforts for the caucus as well as created the Louisiana Legislative Black Caucus (LLBC) PAC. She has also served as an Associate Professor of English at Baton Rouge Community College for several years. 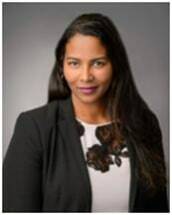 Suchitra has been a practicing attorney in Louisiana since 2000 and holds a Bachelor's degree in English from Xavier University of Louisiana, a Master's Degree in African American Studies from Temple University and a J.D. from Temple University, where she was a member of the Temple Environmental Law & Technology Journal and published, "Gliding over Treacherous Ice: Fulfillment and Responsibility in the New Reproductive Era; Why Contractual Ordering is Appropriate."